Kyrgos Engineering & Building Inspection, Inc. Comment: We are a military family moving to NOVA this summer. Looking to purchase a foreclosure home in Burke. Want to hire someone to do a pre-inspection prior to submitting an offer. Thank you! Comment: Would like an inspector to inspect a new town house ready for drywall. The townhouse is being built in Burke by Christopher Homes Inc. Comment: I will actually need 2 inspections for a newly constructed home. One is the pre-drywall inspection which unfortunately *must* occur March 29. The other is the as-yet unscheduled inspection of the finished home which *will* occur in conjunction with settlement. Comment: I just had a new roof installed and need a qualified inspector to determine if the job has been done correctly. Comment: I believe there is mold due to a leak. Burke Home Inspectors are rated 4.83 out of 5 based on 1,533 reviews of 45 pros. 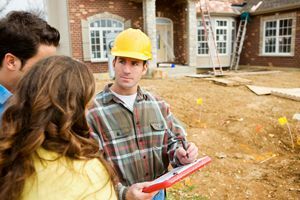 Not Looking for Home Inspection Contractors in Burke, VA?